Each year, an amazing amount of scholars, teachers, ministers and students seek a deeper understanding of God’s Holy Word, the Bible. To aid, an incredible amount of resources have been made to assist individuals on their journey for knowledge. Knowledge comes from studying and pouring over various resources such as books, commentaries, and journals, no doubt, but deeper held truths and genuine understanding often only come from coupling these resources with experience. 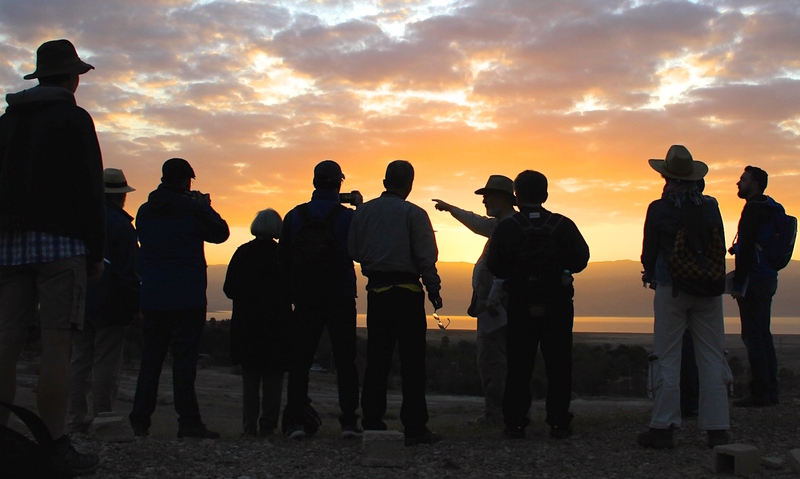 To that end, the University of the Holy Land, is a resource unlike any other. Providing once-in-a-lifetime opportunities so that students of the Bible can transition from imagining what it must have been like to becoming a part of the history which surrounds them. Because of these special aspects, through the University of the Holy Land, Graduate Students and Ph.D. Candidates can obtain true understanding of the Bible, and become experts in their chosen field in the process. Qualified undergraduates and adults wishing to continue their education will find their own faith in the Bible bolstered as they see, hear, taste, and touch what others have only read about as well. THE FACULTY of UHL is second to none, having played an important role in such projects as the publication of the Dead Sea Scrolls, the excavation and development of the Nazareth Village Farm and, most recently, aiding in the birth of the Museum of the Bible in Washington, D.C. All of UHL’s instructors and professors are Christian and Jewish experts in their fields, with years of experience in the Middle East. PROGRAMS at UHL have limited space available, so that no student is ever a face lost in a crowd, but rather an adept leader of tomorrow. As such, students are carefully selected, and those chosen will receive unparalleled teaching and guidance, insights to which few others will ever be privy, priceless memories, and a life forever changed. WANT TO SEE WHAT YOUR LIFE CAN LOOKÂ LIKE IN ISRAEL? CHECK OUT OUR VIDEO PAGE, HERE. OR, Talk with an Advisor to see how UHL can help you.